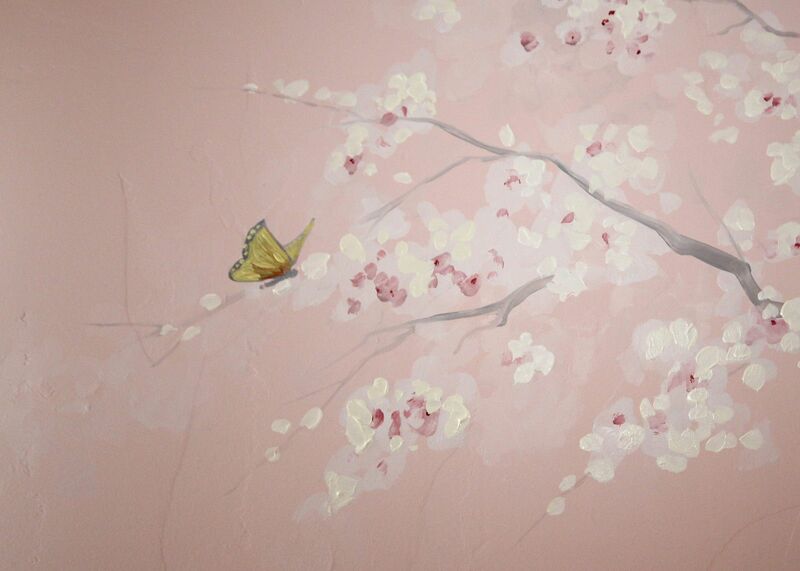 I painted this cherry blossom tree for a 6 year old girls room. Honestly, I think it is appropriate for any age. (Can I have one in my room?) Spring is epitomized by cherry blossoms. Delicate, full of promise, and temporary. Cherry blossoms are simultaneously elegant and inviting. I painted this tree with a great abundance of flowers, instead of the restrained Zen style. I hope Emma enjoys it until she is off to college!